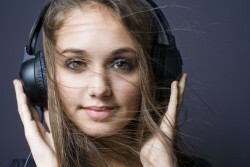 SOUND ADVICE is the gold standard in voice-over. So much so, we wrote the book on it! 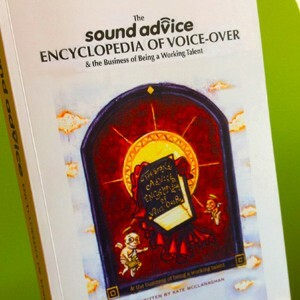 Presenting the THIRD EDITION of The SOUND ADVICE Encyclopedia of Voice-Over & the Business of Being a Working Talent, the single most current, most thorough industry reference available anywhere! We’re the gold standard in voice-over! So much so, we wrote the book on it! More than 500 pages brimming with cutting-edge information and sound advice designed to assist every skill level of talent successfully navigate their careers. Written by casting director, producer, and SOUND ADVICE founder Kate McClanaghan, The SOUND ADVICE Encyclopedia of Voice-over & the Business of Being a Working Talent is a completely objective approach to the industry. Our book is a comprehensive combination of more than twenty years of training better than 10,000 talent and producing well over 5,000 successful demos! Discover the most current industry insights gathered from continued survey of more than 12,000 casting and production professionals most likely to hire you as an actor and voiceover talent. For a sample (abridged) chapter, Click Here. Plus, a great deal more! Amazon (for Kindle), Barnes&Noble (for Nook), and on iTunes (for iPads & iPhones). If it pertains to voice-over, and becoming a working actor in America today, you’ll find it in The SOUND ADVICE Encyclopedia of Voice-over & the Business of Being a Working Talent!